Samara is a city in the southeastern part of European Russia, the Volga Federal District, at the confluence of the Volga and Samara Rivers. Samara is also the administrative center of Samara Oblast. It was founded in 1856. It was called Kuybyshev from 1935 to 1990. 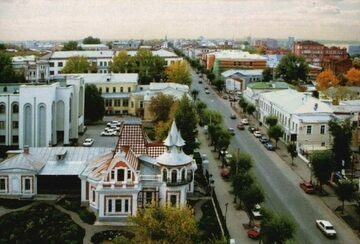 The population of samara is 1 164 900 (the sixth largest in Russia). Samara is a leading industrial center in the Volga Area, and is among the top ten Russian cities in terms of national income and industrial volume. Samara experiences a humid continental climate. Maximum amount of precipitation is in June, July and September. The average annual wind speed is 3,5 metres per second. The highest temperature ever recorded was 40,4 C° on 30 July 2010. The lowest temperature ever recorded was -43 C° in 1942. There are 35 institutes of higher education in Samara. But the number of them is growing.